We are proud to say that our staff will provide you a personal, friendly and PROFESSIONAL service in Seville! The school is a modern style school, with over a decade of experience, conveniently located in the heart of Seville. 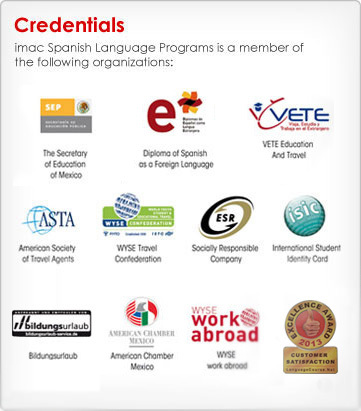 Reputable and high quality institution, it is accredited by the Instituto Cervantes and has achieved the ISO 9001 quality standard certification, which guarantees nothing but the best for your Spanish language learning. 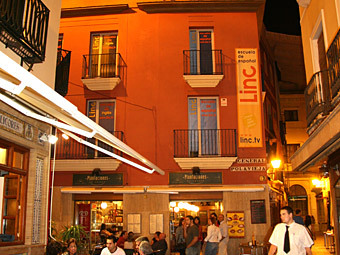 It has a privileged location in a pedestrian street at the city's liveliest shopping districts. The school occupies a three-floor building, recently renovated, in a traditional Sevillian house with bright classrooms and a rooftop terrace. The building has 8 air-conditioned classrooms, a multimedia room, Wi-Fi area, 6 PCs with free, high-speed Internet access, and a library with book and DVD loan service. All group classes are reduced in size (6-8 people) to guarantee personalized attention. Surrounding the school area you will find all kinds of shops and cafes where you can relax with a cup of coffee, or walk only a few meters to marvel at the sight of the Cathedral and the main Historical monument area. 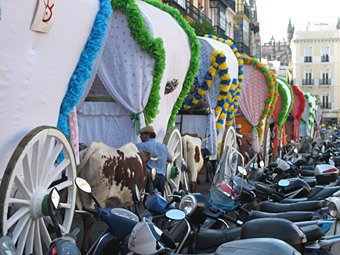 Plaza Nueva, Seville's main hub for the tram network, is only 50 meters from the school! Learning Spanish in Seville and at our intitution will be really fun! On the first day of every month a buffet breakfast is hosted, where all our students, former and new, meet and exchange experiences. 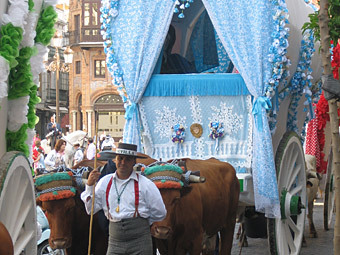 Additionally two cultural activities per week are arranged as well as special outings to enjoy all that Seville has to offer! 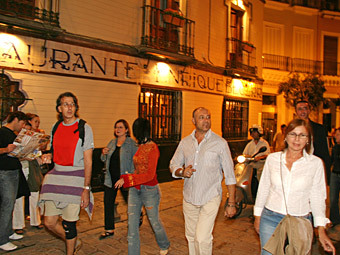 With our programs you will learn Spanish and meet people from all over the world. It's not just a language course, it's a language experience!